The more often you see what interests you - and you feel good, the more quickly you activate your attracting power. A Vision Board uses powerful tricks that advertising uses to influence your mind and sell you stuff. Why not use the same idea and reprogram your subconscious - and your future - in your own way? 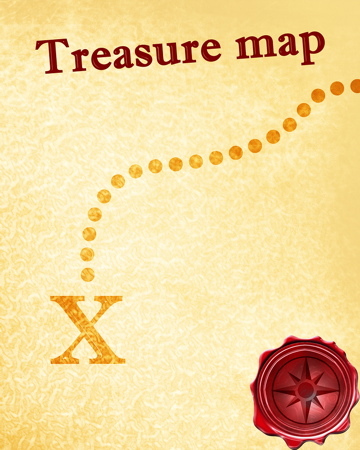 Think of it like a treasure map - leading to hidden pathways to get you to the life you want to live. Shift Attention to what you want. Everyone's life is busy. How do you remember to Focus all day on something in the future? INSIGHT: You need a "billboard" to remind you. Distractions are your old habits of thinking. Law of Attraction is the force that holds the old habits in place - and you are the Focus point of that power. As you live life, you observe and comment on it...you feel it, vibrate and attract it. Your self-talk is telling you what you are attracting. The biggest attraction is the human face smiling and loving. "Love and acceptance" - opens your heart and mind. Then new ideas slip in easily. 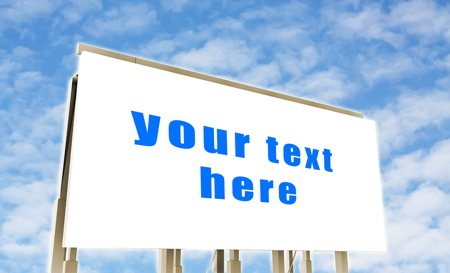 TIP: A billboard works in advertising to open your mind to new ideas and products. Use EXACTLY what works to get what you want. 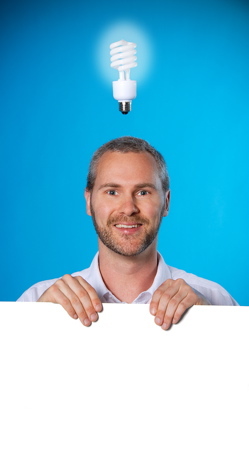 Successful ads invite you in with a warm smile and loving eyes. the acceptance (and all else) they offer. attention and opening your heart to changes. use it to influence yourself into new ideas and accepting a new lifestyle. Once you FEEL safe and loved, you change easily. 95% of what you are thinking - you thought yesterday and you will think tomorrow. Listen to yourself and your friends. It's all the same old things, isn't it? TIP: You are NOT thinking. INSIGHT: You have created a mind-movie from your genetic blueprint and it runs 24/7 just beneath the surface of your awareness. When you see a new "topic" the movie changes to that topic....just like putting a search topic in Google. You get back results that match what you most often think....expect....and look for. You are merely being logical." When you have a problem you focus on it, and you find the responses that are familiar to you. You can not hear a real solution -- because it is outside of your normal thought patters. Your logical, problem solving mind looks for answers that match the outcomes that you have experienced in the past. Nothing new can come from old habits of thought. Your genetic blueprint is changeable. You inherited a pattern of experiences, ideas and truths that are the foundation for your life. Basics include your language, foods, social status (tribe awareness) and what is safe and what is life-threatening. 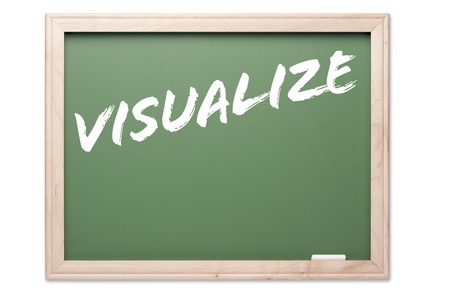 A "treasure map" (or Vision Board) is a visual image of what YOU treasure. The treasures you seek are buried in your Attitudes and creative power. Tune in and go after what you want in life. Life is a flow of concepts, always in motion and always expanding. You instigate the expansion as you make new choices. As you desire things outside of your "normal" life you are imagining them. Then as you Focus - you are drawing yourself to what you imagine. As you act in new ways, you change your original blueprint. Law of Attraction delivers more new "matches" and soon your life is changing. All that keeps you from taking action is the habit of responding in familiar patterns. That's it. Just a habit. The same way you got "stuck." Repetition. Never permit it to fade. Billboards create a simple, easy message to remember. Even when you are NOT paying attention, the message slips into your mind anyway. Influence yourself and put on it what YOU want. Advertising is a multimillion dollar industry - because it works. All the research has been done for you - you need only copy what works - and use this wealth of information to program yourself into the life-style you want. All the tools you need are easy to use. Advertising has developed a time-tested and proven strategy for changing your mind and opening up your habits of thought to include new ideas, products and services. A new idea is "positioned" with an idea, product or activity that you currently believe...that feels good...and then inserts a new outcome. And then it is repeated over and over. Soon it is "familiar" and you think it's YOUR idea. An ad Focuses on ONE type of person and adds ONE new idea. "Target markets" are "tribes" of people that think in similar ways, and live similar lifestyles. So what's your tribe? Flip through a magazine and find an ad that appeals to you. That's your tribe. The ad shows people like you that are happy -- and enjoying a new product; or people like you avoiding a problem and feeling safe with a new product. You "feel" the ad as you see it. Emotion is the message. Ads create a feeling with music or colors, ideas or images. The words are secondary. Any action means Commitment. If you act on a coupon or "low priced special introductory offer" or even a "free sample" it's likely you'll purchase and become a customer. Why? You need to make sense of compulsive behavior ....so you justify your action. "FREE" is a big commitment word that works. 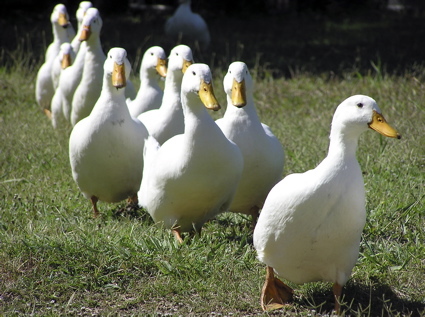 All creatures are trained to follow the leader. Ads lead you into new territory. Automatic responses trigger action - mindlessly. Wake up and think for yourself, or accept being led astray. All human behavior (everything you do) is predictable - and so are your eventual responses to "ads." Modifying behavior is easy when you know how. You are naturally attracted to what feels good and repelled away from what does not. You naturally follow your "tribe" as you've been trained to do since birth - and if your tribe is doing it - and happy - you make the logical conclusion: "It must be good." All that logic is subconscious responses, no thinking, no choice. Your action is compulsive. Afterward you justify your decision by finding things to like. The worse the decision, the more you justify. That means fewer returns, doesn't it? Live Mindfully - it's a choice. Genetic responses are habitual and everyone responds in predictable ways. It is not hard to figure out how to motivate you to buy an idea -- as long as you are on "auto-pilot." Once you wake up - and live mindfully, you are free. Advertising is not to "blame" for misleading people ...they are using what works - and so can you. Create your own "billboard" or Vision Board. A focus on wealth and surrounded by "warm loving people," beauty and nature. "Associate your desire with others accepting you and with pics that feel good to you. Keep it simple in the style of a billboard. Limit it to the next step in the life you want to live. This sample is for wealth and includes money, loving people, and natural beauty. Use the same tools advertising uses and move your mind-set mentally and emotionally from where you are to where you want to be. it will work for you if you place it where it continually influences your subconscious mind. stares you in the face." Life always shows you 100% of what you are vibrating. You can rely on the power of Attraction to always match up resonance. "Karma" is not random. You are the attracting force and everything (everything) matches your vibration. Rely on it and you can change anything you want simply changing the source: You. ...show happy people living and loving their life - doing it! This isn't a process that sometimes works and sometimes doesn't. Ads work or the ad campaign is changed. If you don't get results you like - change your Vision Board and/or change your FEELINGS about your Vision Board. Adapt until you get what you want. What can go wrong? You are not specific enough, emotionally loving it enough, or not viewing it often enough. You have total control over all three, don't you? Commit to this process and continue to adjust until you get it right. Once you know how to motivate yourself this easily - then whatever you want is available to you. Once you've told someone, you are much more likely to follow through. A company that wants your business - is willing to spend millions to reach you. Over and over. This is a BIG business. Listen up and make a commitment to make your life work for you: Today. Experiment. Set a time limit and follow through. Make changes. Make it work for you. You can do this and overcome your inertia and old habits very quickly. Make it easy, fun -- and quick. How do you know your Vision Board is working? You're getting what you want, or getting close to it. Depending on how big a gap between where you are now -- and what you want -- you should notice what you want beginning to show up around you in 7-10 days. Look for it. Someone else may have it, or you spot it in the media...it's starting to become "top of mind." You may notice you are feeling anxious or fearful. That's the fear of something new and the fear of change. It means your life is changing. If you want a vacation - be specific. What makes you "happy" when you think of it or see photos? Frame them and place it where you see it daily. Talk to yourself and calm down. Your attitude about life, changing, and your future is now in your awareness. Overcome fear or anxiety and Focus on what you want to live. Next you notice your self-talk changing - automatically. Then Inspiration begins to lead you to opportunities. what you want is close. Change, improve or modify your Vision Board. At this point you may change it, want something different, or go in another direction. That's good. As long as you are moving to more of the life you want to live - it's all good. Often a "goal" just gets you aimed in the right direction. Next, more opens up that you couldn't see before. Changes are a natural process, everything is changing. Move into the flow of Good Fortune and keep your mind focused on what you want. Wait for your inspiration and then create your "vision" in color. If you feel good about it - your FEELINGS will propel you into your future. every image you have around you is working on your mind and imprinting an idea or lifestyle. Most common is a Vision Board on poster-board with images, colors and words that you create from clipping magazines and cards. Find ideas and photos and tear them out of magazines until you have a collection you like, then lay them out on the board. Include a background you like too. Judith covers the details and materials needed for creating a Vision Board that Inspires you. Sandy describes her Vision Board working for her, her results and a photo of her current Vision Board in True Tales. Choose what style appeals to you. If you haven't done a "Bill Board style" consider: No one knows better or has more continual $uccess than advertisers. Why not try one in the style they use? Experiment and make adjustments. Select something that is possible within 30-60 days but right now seems out of reach. The more practical you are the quicker your results and the more quickly you can build the steps to get you to what you want. Choose a simple format and One basic desire. Billboards have a simple, easy to see and understand message. Bold, inviting and likable. You can feel the attraction of loving compassionate eyes approving of you. Add many "loving eyes" surrounding what you want, inviting you in and accepting you as one of them. Add photos of loving, happy people. "Welcome, join in, what fun, easy and enjoyable." Find ones (or print them out) that feel really good. ...if you have to cut and paste - do it. Pull photos from mags that make you FEEL good. Only use colors and emotions that make you smile. 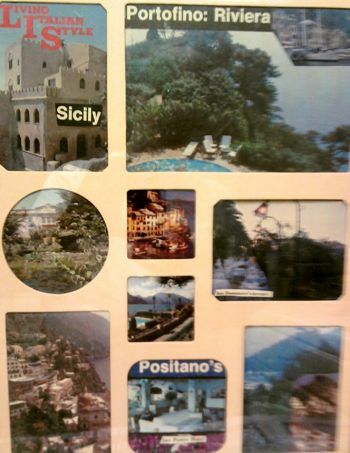 If you want a vacation...use the word, and images of places you might like to visit...or a cruise ship, or air planes, or a sailboat...whatever appeals to you. If you want more money: Wealth is a social concept. People pay you for what you offer. Show pics of people accepting you and enjoying what you offer... and add words..." others love paying me for my (??) talents." What will it feel like when you HAVE what you want? Can you feel the JOY of succeeding? It's all about FEELINGS. Now add photos of people like you "receiving and loving." Everything I want comes to me easily." Open to receive what others give you - or you limit yourself. Find images of how good it will feel when you have the money you want. Your challenge is to find pics and add words that FEEL GREAT TO YOU and indicate you have RECEIVED what you want. You can add a few photos of what you'll be doing more of... Extra money to do what?...but keep this real and close to possibility, especially if this is a new process for you. The sooner it works, the better you'll feel and the more quickly you can adjust adding more -- and get more of what you want. If you need a new car...and can almost afford it, begin with what is reasonable and expand it. Imagine, if you got "almost new" (year or two old) you could get a better model - for the same money....and get the "bells and whistles." Does owning a better model inspire you? And improve your self-image of being able to have a wealthier lifestyle? Find images of what inspires you...several models or styles. What feels good? Use that. Example of NOT attracting what you want. Everything you see works on your subconscious mind - don't block your own insight! Are you FEELING you have it? Or FEELING you don't have it? If you use pictures of a Bentley and your budget is Chevy - you are self-defeating the purpose. One, that car is not "in your tribe" and others (and you) will feel conflict. Where will you keep it safe, can you afford insurance and repairs? Your subconscious makes a quick decision that leads to: Two, you want it and don't believe (subconscious) you can have it. Not a good vibration for Law of Attraction... your subconscious aligns with your real feelings of fear. Why send the signal, "I don't have it and can't get it?" Is this making sense? Be sensible and realistic and expect magic. Leave open the possibility it will be much better than you expect. Only use what inspires you. Choose carefully. Really love what you post up. Add simple phrases about HAVING IT and ENJOYING IT. When Vision Boards don't work it's usually because someone threw up a lot of good stuff but they don't feel it's possible. You are programing your mind to love having it and to see others "lovingly" giving it to you. Check out a few ads - people are ENJOYING using, giving, being or having..."it." Do you feel warm, relaxed and happy when you look at your Vision Board? 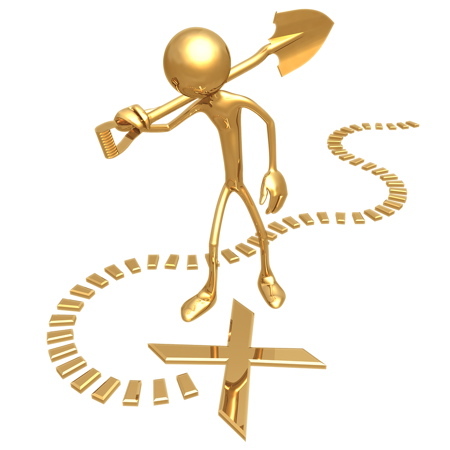 If you had a map to real treasure - would you take the time to figure it out and "go dig it up?". Creating a Vision Board IS a map to your treasures - and it's worth the effort. Just Do It! Post it up where you see it every day. The more often you see it (and feel good about it) the quicker it works. Soon you will "forget" it's there. But it's still working for you as a constant reminder. When you find a good emotionally charged photo or phrase - add it. Modify and update it. If you have others around that don't like the idea - ("change" scares people, and if they see it they will be affected by it too) move the Vision Board out of their sight. Insist on a "place" for you - after all, you're making changes....and expanding. You need space and creative room to explore ideas. Carve it out now. It's SO simple (and fun) it's easy to overlook. Create a visual image of what you want and keep it "around" so you can enjoy it - resonate to it - imagine it - love it - and know you are attracting it. Look for it. Expect a miracle and sudden success. That's how most change happens. Change into the life you want and the Good Fortune you deserve. 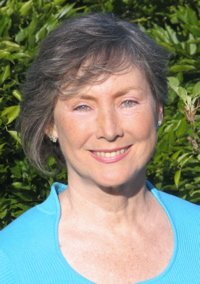 Marilyn Kvasnok is a busy entrepreneur building a Shaklee business, her Health Talk Today blog and taking care of family. "I know vision boards work. My brother used to live on the 2nd floor of an apartment building in south Florida. It was short term - Just a few years. Out the back was a view of the golf course and very scenic. But, his office was the 2nd bedroom that faced the parking lot. So, instead of looking out the window at the asphalt and parked cars, he bought and framed a postcard of the beach. A small regular size postcard. That's what he saw day in and day out. Weeks after he and his wife moved into their high rise condo, he was unpacking the rest of his office things. When he found the framed postcard, he did a double take. His new office was still the 2nd bedroom, but the view out the wall-to-wall windows was the EXACT view in the postcard - Including the building next door and the jetty into the water. 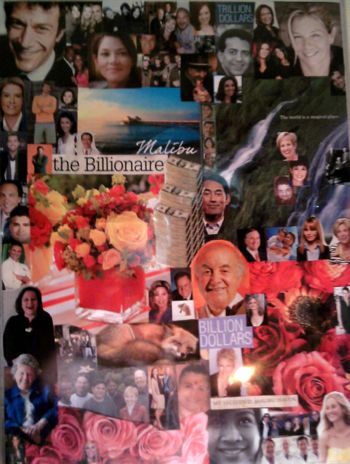 I've had many vision boards - Some very informal. For years, I've had two $1,000,000 bills on my desk. And I use my monitor wallpaper to add one image at a time, then change it often. I've also done a slide show vision board as a screen saver. I even made a digital vision board a while back. I didn't make one specific to my business until recently - wish I'd done it sooner!" Isn't it amazing that you can see a simple process work - One that produces magical results - And not jump in and make it a business priority? Yet most do the same. How about you? More fun ideas to play with. These articles detail ways and strategies to overcome resistance and fear and get your mind focused on Attracting your Vision. Want new results? Find your passion. Want a great new future? Follow your most passionate desires - there’s no substitute for enthusiasm and determination. Only your love of your future has the power to attract wealth and health- and overcome fear. Attracting the life you want is easy and quick when you know what you want - and Focus on it. Law Of Attraction & Stress Free Easy Money. Billboard phrases and ideas last. Once you're remembering it - it's working. Your Attracting power is doing the work for you. Law of Attraction is the force that brings opportunities- or loss. Your attitudes are the point of attraction. What are you setting in motion? 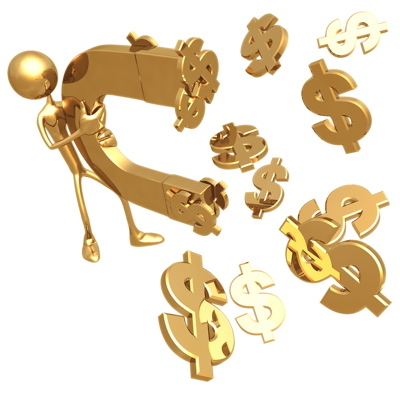 You can thrive in difficult times: Do you want to make easy money? Then find what you love and do that. Nothing is easier than doing what you love. Use Law of Attraction by Focusing on and feeling only what you want more of. Begin today attracting what you love. It’s easy once you get the facts at Easy Money. Quick Good Fortune: "Follow a new trail today - it will lead you to a treasure you've overlooked." Return to the Law of Attraction. page for more facts and tips to working with Law of Attraction and to Live the Dream, Healthy, Wealthy & Wise. Visit Find Inspiration- Find Good Fortune for a great insight and 7 tips to stop a habit that defeats health and abundance. Following Inspiration changes what you have into what you want. Health and wealth are waiting for you – wake up today! Find a home based internet business that's right for you. 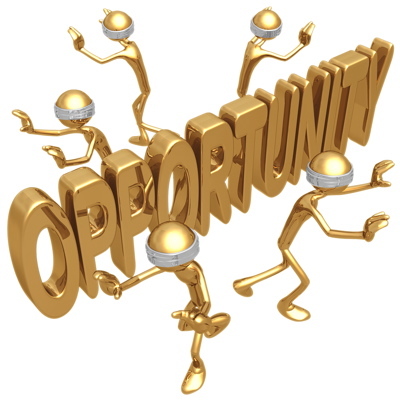 Not just another web site - but a real business with income and potential. led me to my goal.